There are many advantages to owning an organic silk duvet beyond the rich color saturation and smooth texture of the fabric itself. A natural fiber, silk is the spun cocoon of the silkworm. The cocoon is made in a single long strand that, when unwound, can extend up to 4,800 feet. The resulting thread is strong, lustrous, and easy to weave, making silk one of the premier fabrics sold around the world. Silk that has been cultivated organically isn't bleached. It also undergoes less processing, like weighting, and isn't subjected to caustic and environmentally hazardous dyes. In the production of organic silk, the cultivation of the silkworms may be different too. Typically silkworms are destroyed in the final part of the silk farming process. This is to insure that the single, long silk strand isn't broken when the moth emerges from the chrysalis. Some natural processes spare the silkworm and use other methods to repair the silk that's torn as the moth leaves the cocoon. There is some debate about the impact of these alternative processing practices on the environment and on the quality of the silk. Although marketing materials may suggest that saving the silkworm is an organic, humane practice, the jury is still out on the most eco-friendly way to accomplish this. The way the silk is loomed plays a part too. In some areas of the world, old-fashioned hand looming is a key factor in creating silk and sustaining a healthy local economy. Supporting manual methods helps to maintain a balance between human and other natural systems in these areas of the world. Automating silk looming threatens local economies and often starts a cycle of increased energy use and environmental stress. The practice of "weighting" silk involves adding chemical salts to the fiber to make it heavier. Because silk is sold by weight, this makes it more valuable. These salt compounds, like barium, chromium and lead can be a health hazard. Organic silk processing discourages weighting with dangerous chemicals. The resulting silk is more wholesome, but it's usually more expensive too. 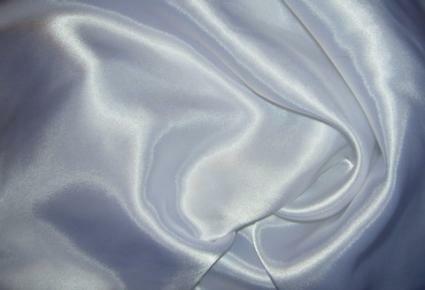 Silk is a breathable fabric. This makes it a perfect medium to sleep on or under. Silk wicks moisture away from the body naturally, providing air-conditioning on a molecular level. Silk is hypoallergenic. Organic processing methods retain the sericin protein and amino acids in silk fibers. The presence of these substances helps make silk resistant to mold and mildew. The protein in silk makes it naturally dust mite repellent. Silk is self-cleaning. Dirt and odors have a hard time getting a foothold on silk fibers, and silk that has been properly cared for can last for years, even decades. Avoid laundering your silk duvet unless it's absolutely necessary. If it should need laundering, avoid harsh detergents and high temperatures. Silk repels dirt, odor, and dust mites. For the best results, air-clean your duvet every few months instead. Choose a dry day with a light breeze, and place your duvet on a clothesline or even on the dry lawn. Leave it out-of-doors for an hour or two. When it's not on the bed, store your duvet in a cool, dark, dry location. To remove spots, blot your duvet with a cloth or sponge dipped in warm water and a mild detergent. Just clean small areas at a time and avoid using too much water. Control the heat when maintaining your duvet. If you must place it in the dryer, use a cool setting. *Avoid ironing your duvet. If you must use an iron, keep it cool, and use plenty of steam. If you follow these few guidelines for taking care of your organic silk duvet, it will give you many years of useful service.